You can find Radardroid in Android PlayStore under the Travel category in Applications directory, or scan the above QR code in your phone. 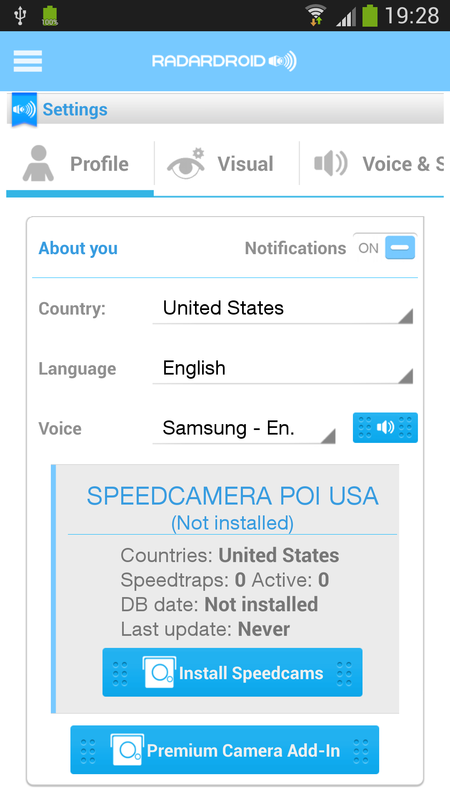 GPS speed camera warning application for Android devices. 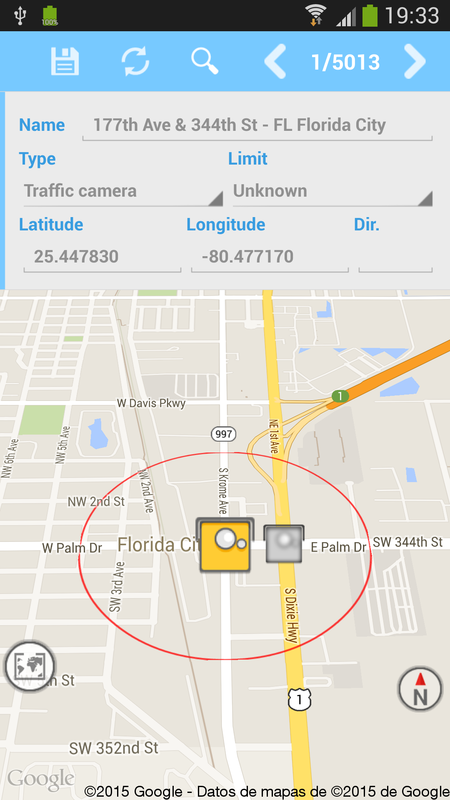 Radardroid will give a visual and audible warning when you approach any fixed or mobile speed camera in the application database. 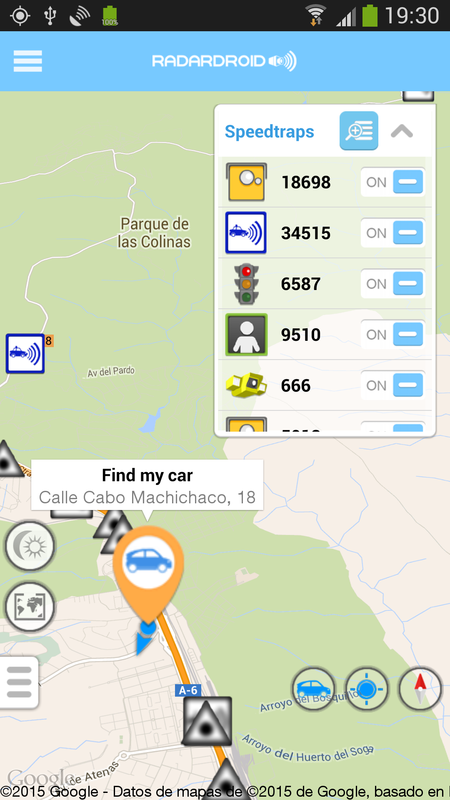 This application will give you advanced warning of possible danger ahead and will reduce possible speeding tickets thanks to the ever increasing available features. We do not condone speeding and will not be held responsible for anybody prosecuted for breaking the law. 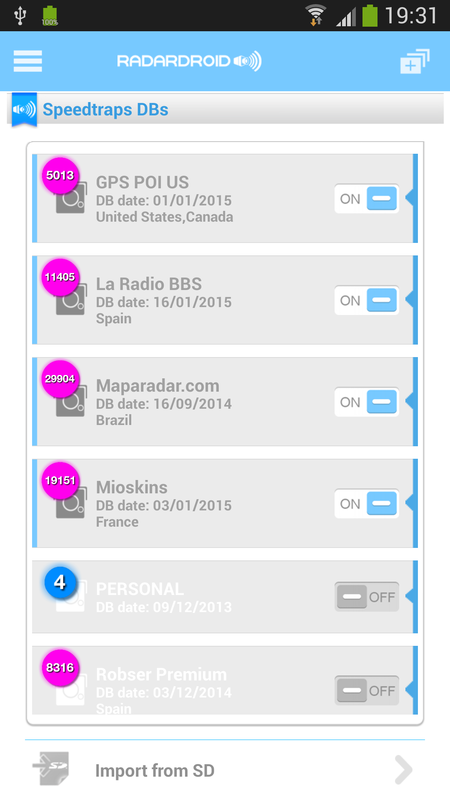 You can find Radardroid User Guide here. No ads or banners. Your device full screen devoted to the info you really need. Full background service. Use your favourite navigator or listen to your music on your phone and you will still receive any visual or audible alerts as you approach any speed camera. Just start the alert service and you are ready. Speed camera directions supported. If you have a database with speed camera directions info, you will only received alerts when travelling in the right direction. SpeedCameraPoi.com is improving its database with speed camera directions so you will soon see this info on Radardroid, but if you already know of any database with that info, you can use it and Radardroid will make use of it. Multiple simultaneous speed camera databases. If you are planning a trip abroad, you can add the databases for the countries you are planning to visit. 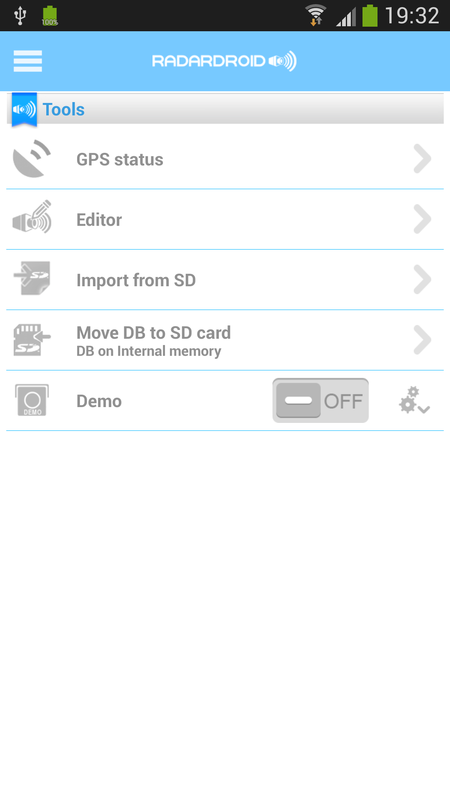 You can enable or disable any database or speedtrap type whenever you want without downloading the databases again. Speed camera editor. Add or edit any speed camera with our editor. 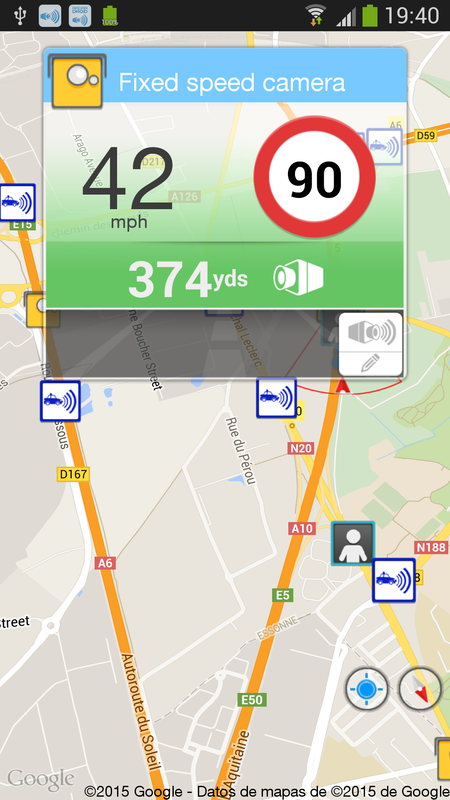 You can change any data about the speed camera, name, position, direction of travelling, speed limit, type. Add new personal points of interest. Just double tap on the map and your current position will be stored as a personal point of interest. You can add extra info later on with the editor. If you stumble upon a new speedcamera on your way home, just double tap your device screen and Radardroid will warn you when you approach that location thereafter. 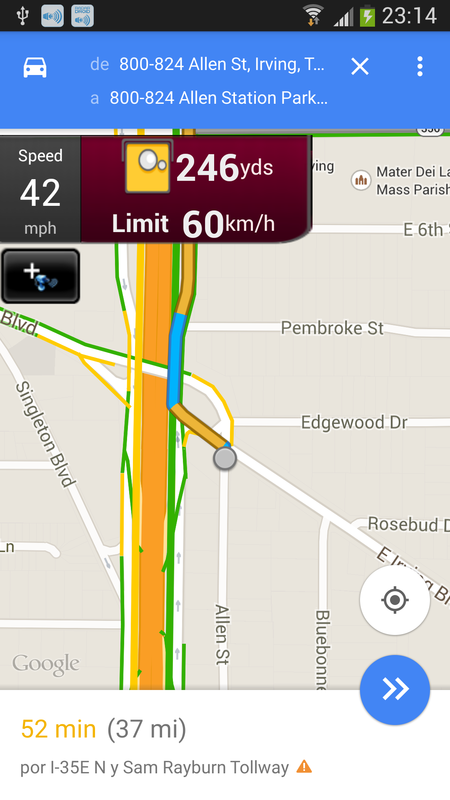 Speedometer can be shown over your favourite navigator or application. Just configure how and where the speedometer will be shown.